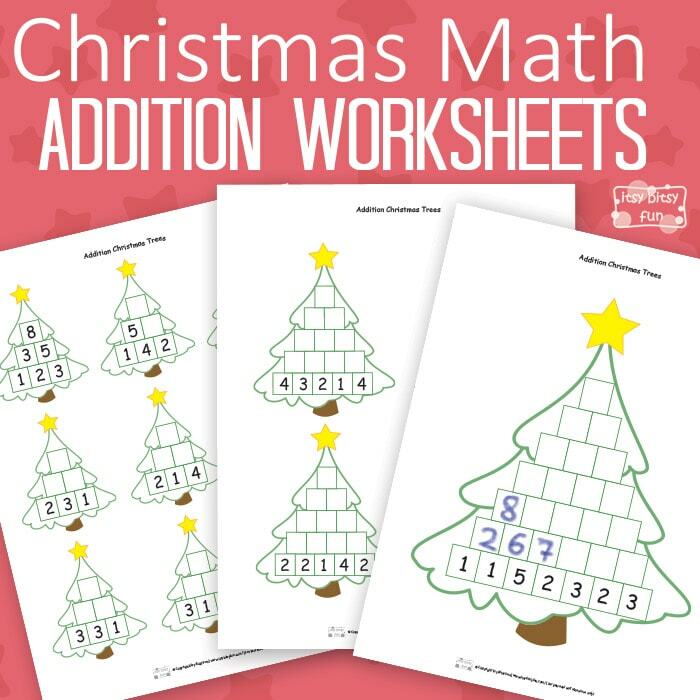 Math can indeed be fun and these Christmas Math Worksheets Addition Tree prove just that! You’ll find quite a few Christmas worksheets on my page and as I’m feeling super festive I think I’ll be making even more (do check back!). So I’ve made this type of worksheets before (in the shape of a pyramid) and the idea for these came to me when I was checking our Christmas tree in case it needed some repairs or something. Kids will have to work their up the tree to solve these simple equations (and hard ones). There’s an example in the printable on how to solve these but I’ll explain it here anyway. So you have a pyramid of squares and the bottom row has numbers in them. Kids look at two adjacent squares and the numbers in them. They have to figure out the sum of those two numbers and write it down in the box above that two squares. They continue to do so until they reach the top of the tree. 1 page with hard level – 7 rows. 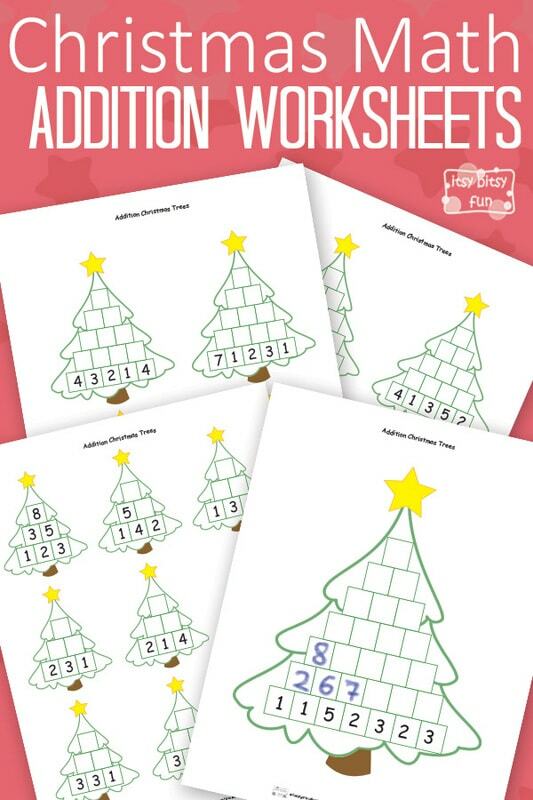 Get these free printable Christmas Math Worksheets here.